This Artist-designed collection of picture frames feature edgy, dimensional vine motifs inspired by the natural world. 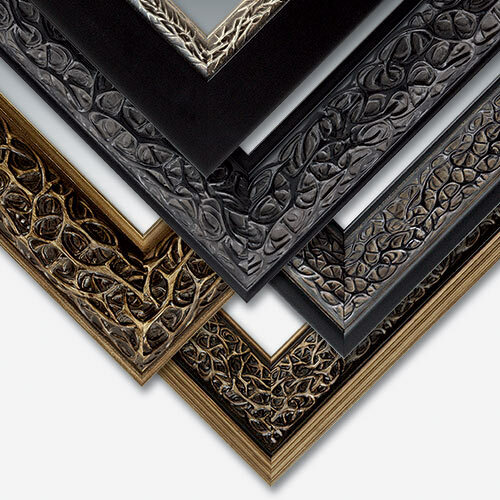 Organic shapes are interwoven over silver, black and earthen gold finishes - mindfully crafted by pictureframes.com Artisans. These natural wood frames make eye-catching photo frames for nature photography, fine art frames for spiritual artwork, tattoo art or whimsical portrait frames with moxie.